We wanted to share with you a wallpaper installation that was recently completed. 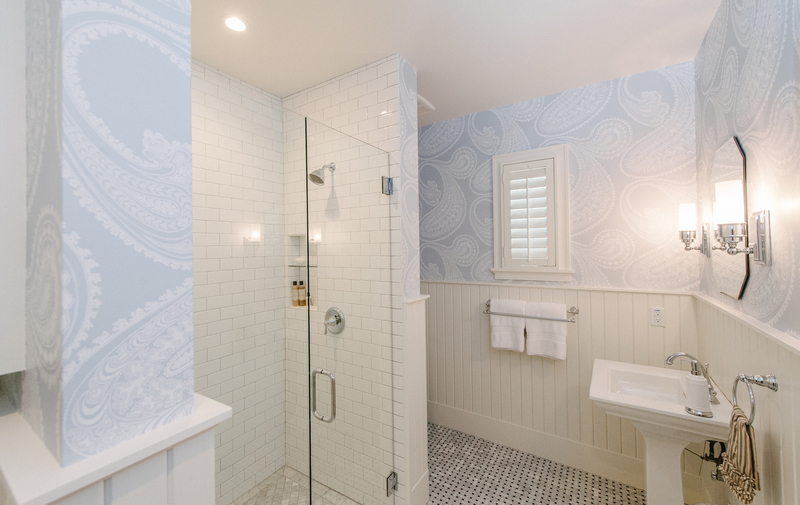 Schroeder installed Cole and Son’s Rajapur wallpaper in this new bathroom. 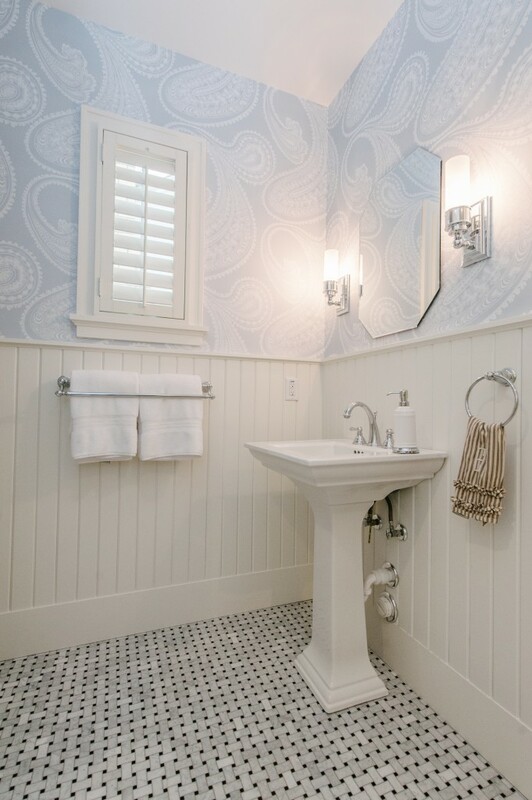 We think the big paisley print goes perfectly with the delicate pattern on the floor. 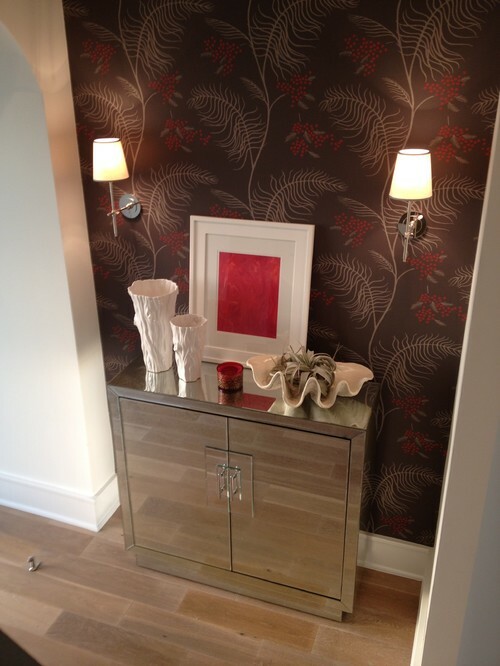 Schroeder sourced and installed Cole and Son‘s Rajapur wallpaper. 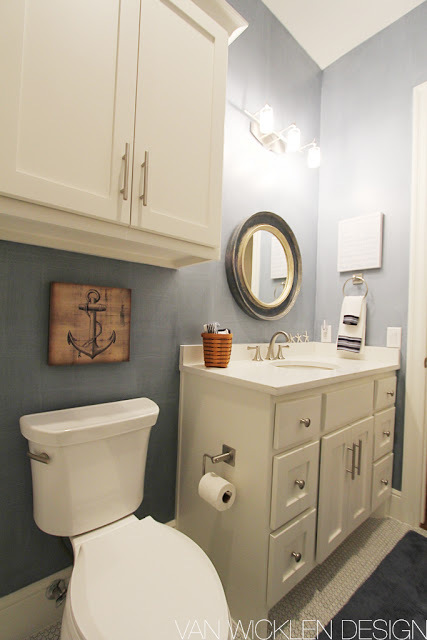 The house was a project of Larry Anderson Construction Inc. What a beautiful bathroom! Schroeder is located near downtown Austin. We accept walk-ins though we highly suggest appointments so that we may give you our fullest attention. Tile selection is by appointment only. Schroeder was recently voted “Best Source for Carpet and Hardwood in Austin” by Austin Home magazine. Come see us today! We are ready for safari here at Schroeder! Africa provides some wonderful inspiration for designers. These are some of our favorite products that make us dream of an African safari. 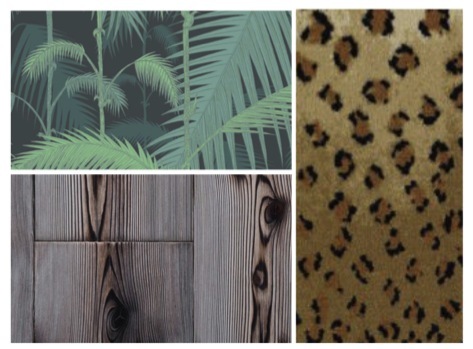 1) This exotic wallpaper reminds us of a sultry jungle somewhere in Africa. We love the dark background with the bright green and blue palm fronds. Sometimes the unexpected can be the best solution to a room! This wallpaper is Cole & Son’s Palm Jungle. Installation of DuChateau’s Zimbabwe hardwood. 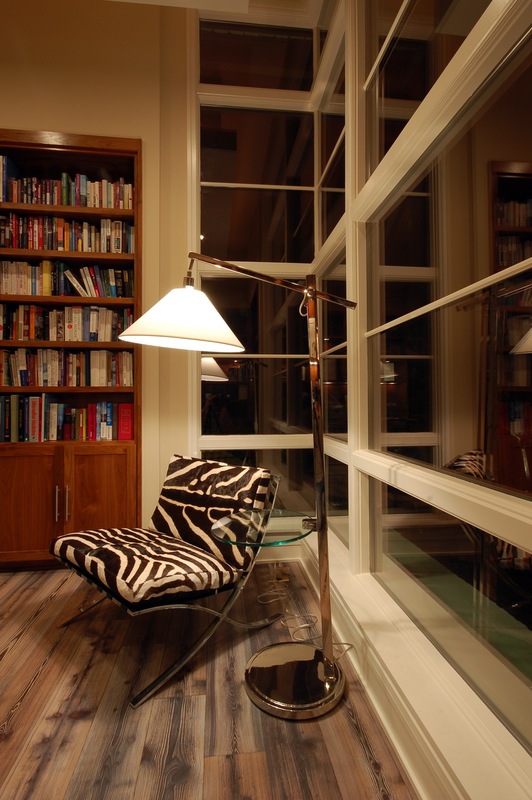 This room was designed by one of our partners, Butter Lutz Interiors. 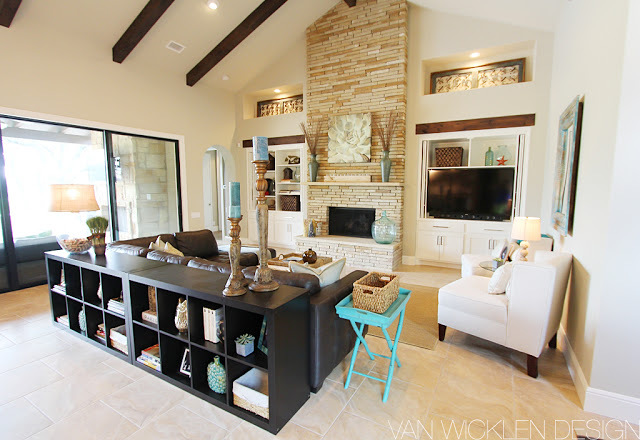 This beautiful custom home in Lakeway, Texas was designed by Jeanette Van Wicklen of JVW Design. 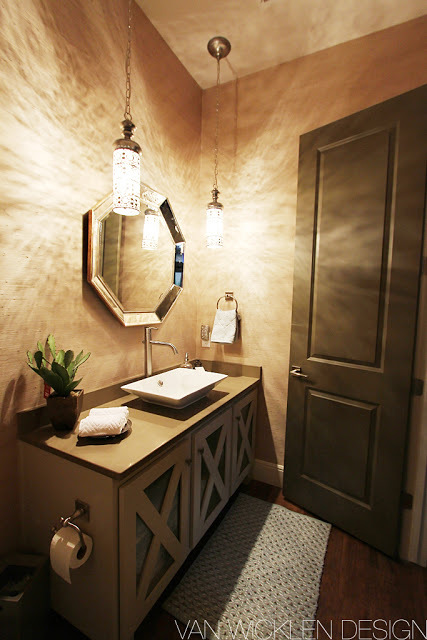 Schroeder partnered with Jeanette to provide high-quality materials that made this retreat a treat for the eyes! 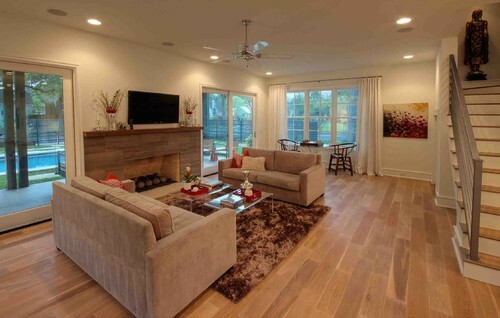 Main Living Room: the floors are 10×20 inch tile in the living room in Marazzi Just Oro porcelain tile. 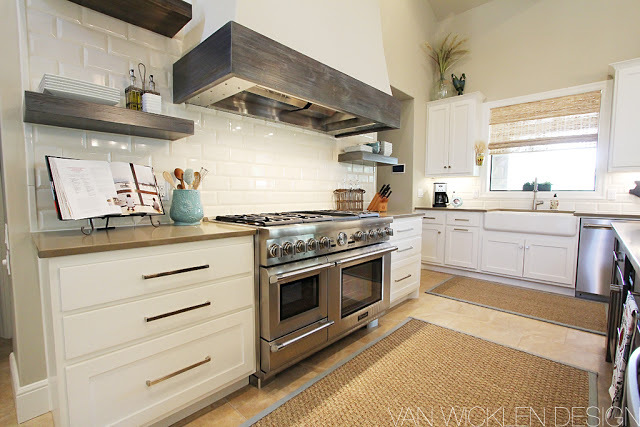 Kitchen: the kitchen backsplash is mugat vanilla glass 4×8 beveled subway tile and the floors are 10×20 inch Marazzi Just Oro porcelain tile. 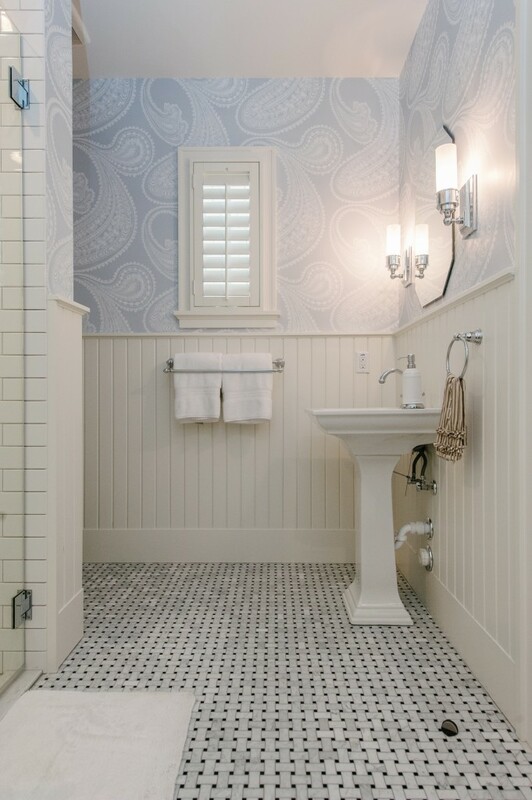 Bathroom: the warm wallpaper is Seabrook’s Eastern Exposure grass cloth. The hardwood is hickory in color Warm Sunset. 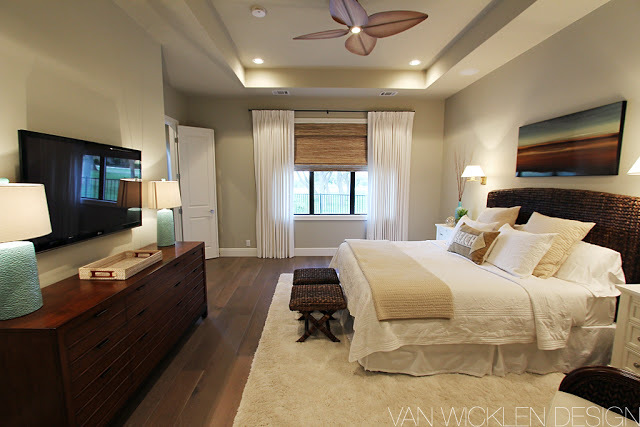 Master bedroom: These beautiful wood floors are oak in color Driftwood. Master bathroom: the floor and tub surround are 12×24 are Timeless Calcutta Pearl porcelain tiles made to look like Calcutta marble tile. Guest Bedroom: this carpet seen below is Tuftex’s Charming loop nylon carpet in color Barley Green. 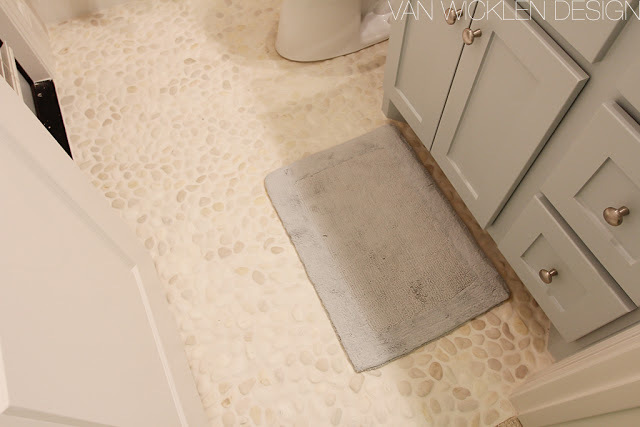 Bathroom: this fantastic looking bathroom floor is a natural cream pebble. The tub surround is 12×24 white tiled and the backsplash is 1×1 glass squares. 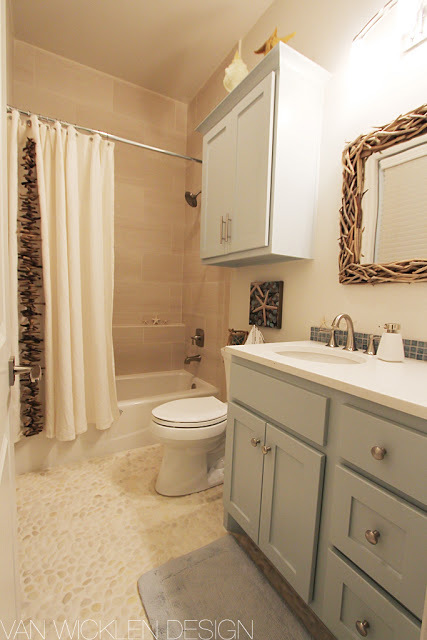 Bathroom: you can just see a hint of this wonderful bathroom floor that is made of ceramic matte white pennyrounds. 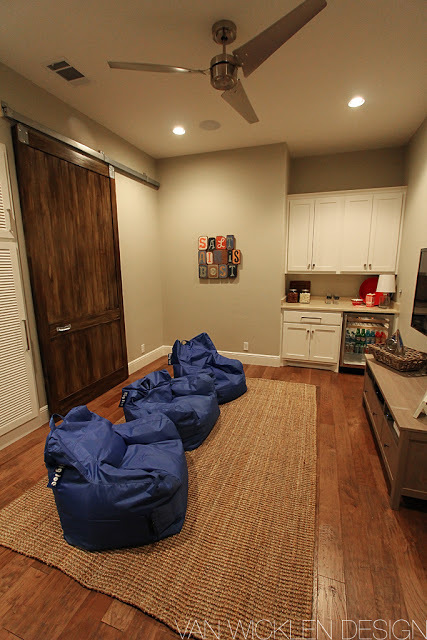 Playroom: the rich and warm hues of this hardwood are hickory. 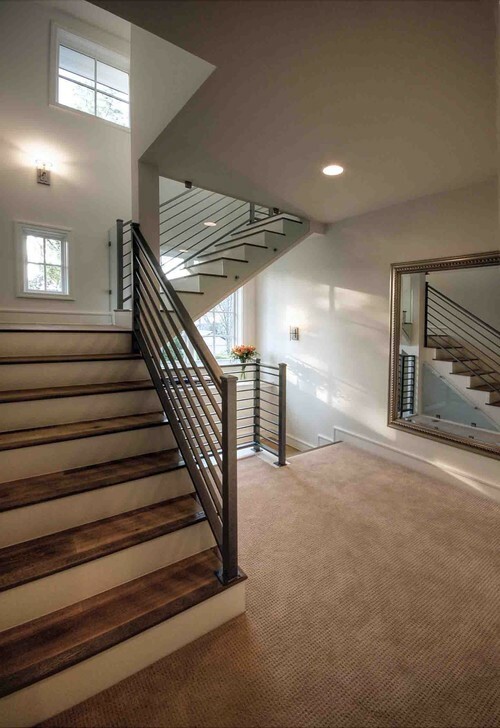 We love this photo of our client’s entry way. The gorgeous hardwood floors have a rich and deep tone that is common with natural oil hardwood floors. We also really like the wall covering that is an enlarged drawing of mimosa. It’s an unexpected surprise that’s modern and delicate. And finally the custom area rug with a modern geometric design pulls together the rich hardwood floors and delicate wallpaper. 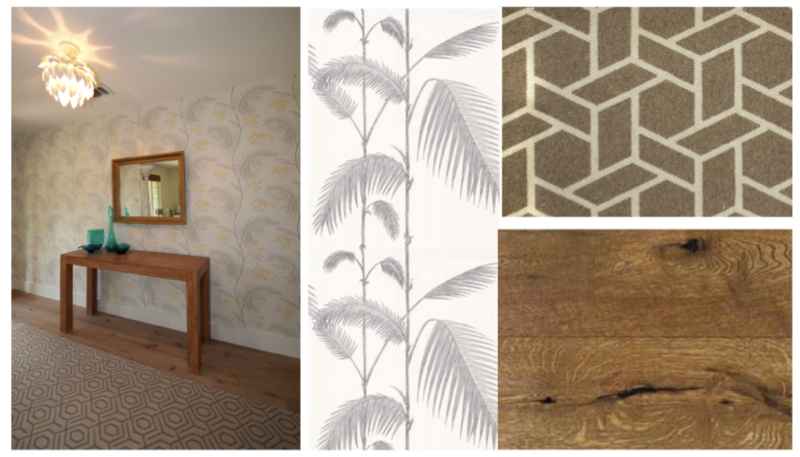 2) Cole & Son’s Palm wallpaper is a great looking design. The palm trees are reminiscent of 1950’s design, Frank Sinatra and Palm Springs. Cole & Son has a number of color variations for this design and they are FUN! 3) Stark’s Brix pattern seen here in white/natural is a wonderful geometric pattern. Made of 100% wool, this carpet can be made into a custom area rug or installed wall-to-wall. It comes in two additional colors. 4) Castle Combe’s Chippenham is a great example of high-quality natural oil hardwood floors. Chippenham has the look and feel of reclaimed wood. It features a combination of hand carved fissures, wire brushed surface, handscraping and staining. Call and make an appointment today to find our how you can incorporate these products in your home today! Schroeder is located near downtown Austin on South Lamar. We offer a variety of flooring options including carpet, hardwood, tile and more. We accept walk-ins though we suggest that you make an appointment so that we can give you the attention needed to help you with your design needs. In Austin we are well-known for our music festivals such as South by Southwest (SxSW) and Austin City Limits (ACL) but we are also known for our cool sense of style. Some would say, a rock n roll style. Rock n roll style can be described in many ways from loud and fast, to bold and crazy, to edgy and unique. One our partners, Butter Lutz Interiors, does a beautiful job of creating beautiful spaces that blend sophistication with a little bit of rock n roll. This rock n roll look features beautiful floors hard-wax floors that mix dark and light tones, and create a warm but stylish look. 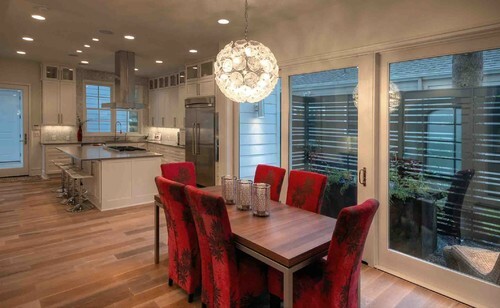 The hardwood floors are designed to reflect the styles found in Europe centuries ago. They are environmentally friendly, using renewable forest resources and are finished with hard-wax oil that is all natural, non-pollutant, non-toxic, contain zero VOCs, no biocides, no preservatives and are benzene-free. These hardwood floors are available at Schroeder. This rock n roll look features edgy yet modern wallpaper that will add flair to any room. Today’s wallpaper selection features bold patterns, bright colors and unique color combinations. From purple flamingos to metallic trees, wallpaper creates a subtle background or a bold addition. More importantly though, it can allow you to express your unique inner expression. Schroeder offers a wide range of wallpaper selections including the wallpaper above. Schroeder is looking forward to this year’s 26th Annual AIA Austin Homes Tour on October 6th and 7th. 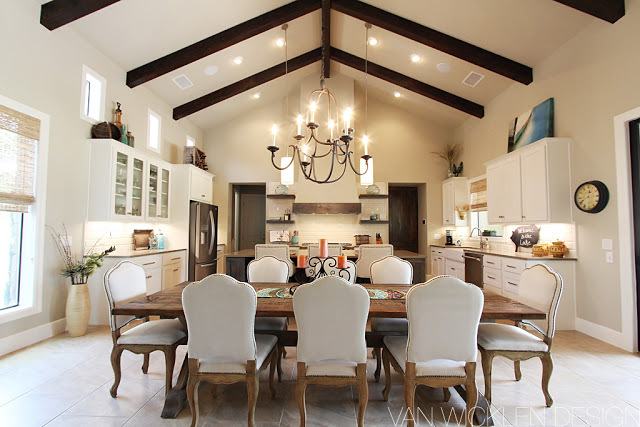 Schroeder worked with Butterfield Custom Homes and Butter Lutz Interiors to provide the highest quality materials for this beautiful home that will be featured on the tour. 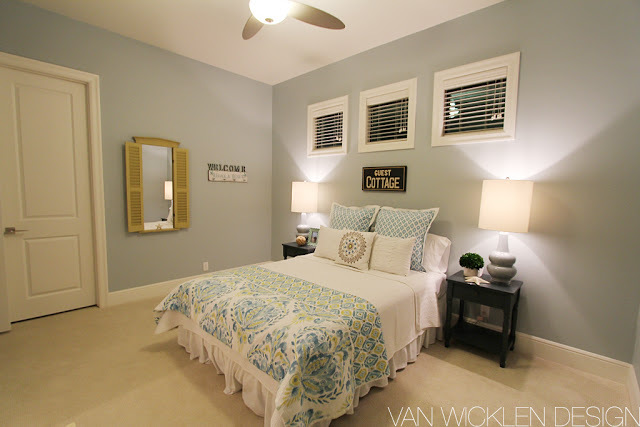 This home features natural oil finish hardwood floors which can be purchased at Schroeder. Natural oil finish hardwood floors provide warmth and sophistication to any room. Because these hardwood floors do not have a polyurethane finish, they do not contain VOCs (volatile organic compounds) and do not emit potentially harmful chemicals. These hardwood floors are great for families with children and animals because small scrapes will not be seen as easily as those with a glossy polyurethane finish. Clients love these floors for their beauty and their ability to withstand the normal wear and tear of life. 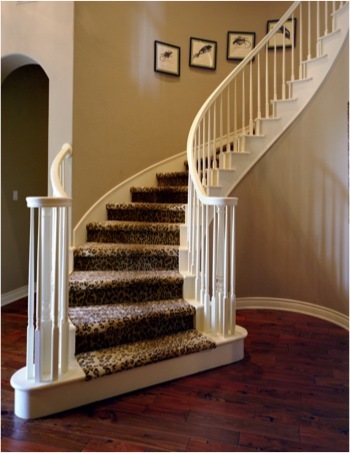 The taupe carpet, featured in the this photo, is available at Schroeder. The carpet is a STAINMASTER nylon and contains a sophisticated and modern square-like texture that adds a touch of warmth to the space. This type of carpet is easy to clean and exceptionally durable. 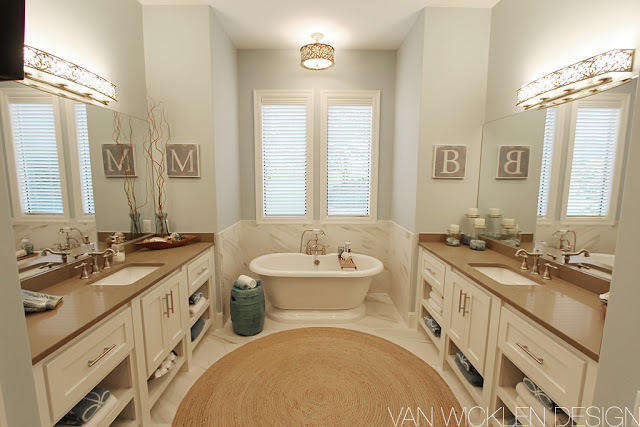 The vein-cut travertine floor seen in this master bathroom can be purchased at Schroeder. 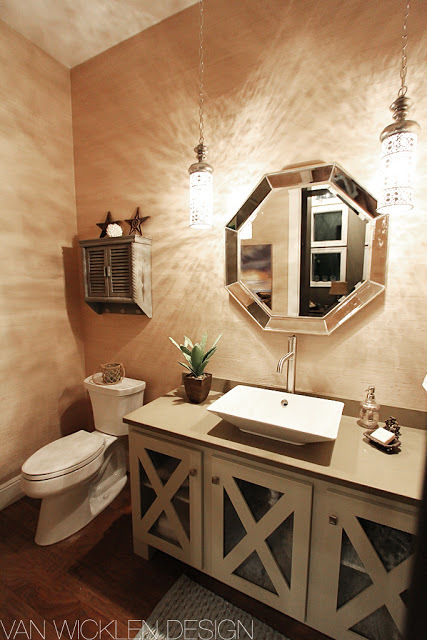 Travertine is a natural stone and provides character to any room. 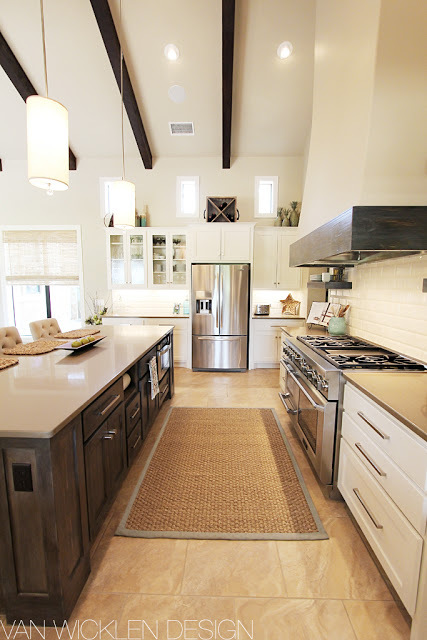 The material can be used as floors and walls as well as counter tops and more. 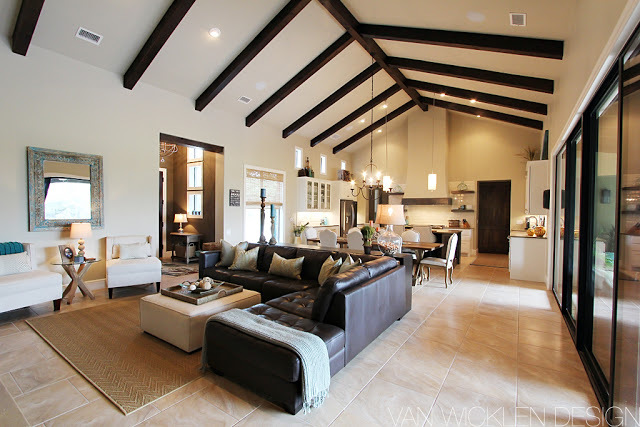 The natural but modern look makes it a popular choice. 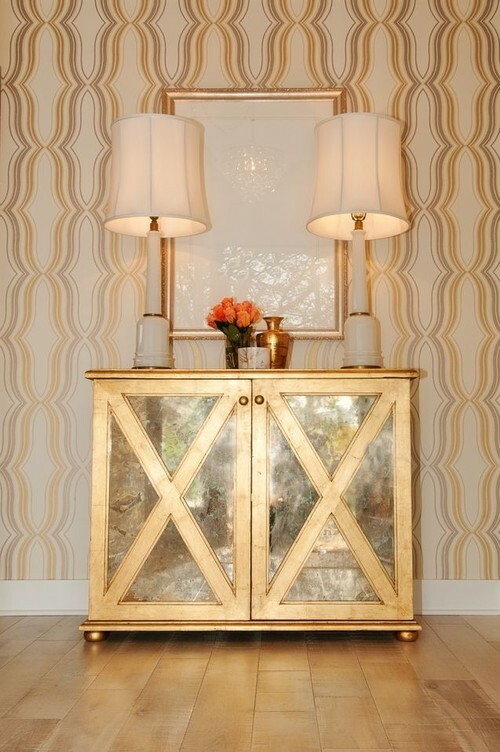 Who said wallpaper has to be like your grandmother’s? 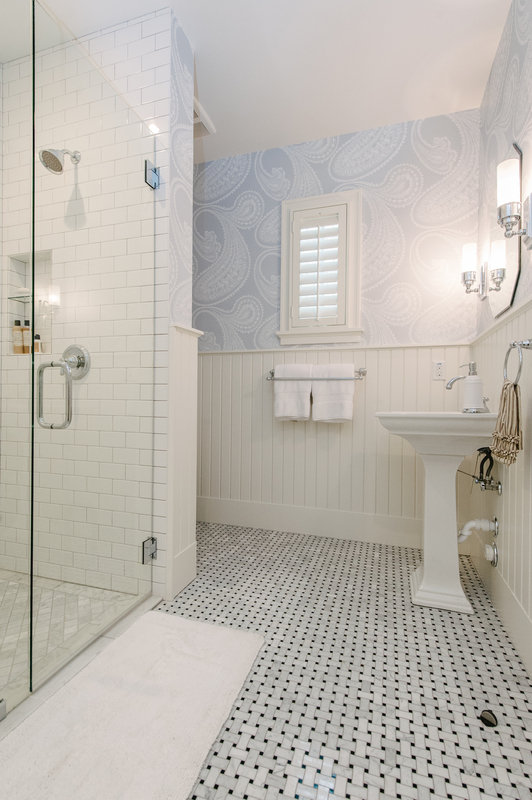 Today’s wallpaper selection includes contemporary, bold and fun styles such as the one seen below. This beautiful print, seen below, provides a pop of expression. Schroeder provides a wide-variety of wallpaper that sets a modern, contemporary, traditional or even fun (!) tone to any space. To purchase tickets or get more information about the 26th Annual AIA Austin Homes Tour click here. Tickets go on sale Sept. 1st and are $30 in advance, $35 the weekend of the tour. Advance tickets are available online, at AIA Austin, and at the Lake Travis RealtyAustin office, 2418 RR 620 South Ste. 200, Lakeway, TX and Zinger Hardware, 4001 N Lamar, Ste 300, Austin, TX. Copyright © 2017-2019 Schroeder Carpet. All Rights Reserved.